Whether you’ve got fruit trees, conifers, flowering trees or any others, it’s important they are pruned and trained well. In most cases, you prune during the dormant season to minimize infections, the spreading of disease, sap flow and other damaging effects. The following are some other basics of tree pruning. Fruit trees are unique in that in order to produce the best crop, they have to be trained. Other trees can flower and look beautiful without much training. Your fruit trees should be pruned during the dormant season. This will lengthen the life span of the tree and allow it to yield fruit earlier in the season. Pruning a fruit tree properly means trimming off the branches that tend to grow straight up. These are poor for fruit trees, as the weight of the fruit causes them to break. It’s also important to thin out the branches of a fruit tree so every leaf and every piece of fruit receives the maximum amount of sunlight. If the branches are too thick, the sunlight cannot reach the leaves beneath, resulting in small fruit or none at all. The season you complete tree pruning in will have an effect on the tree itself. Fall is the perfect time to prune, as the tree has dormant energy. When you trim a branch, you won’t see new growth shortly after. If you prune in spring, water sprouts often shoot up, which allows shade to prevent the tree from growing properly. Pruning during the summer takes a lot of the tree’s energy, resulting in a lack of production, but it should still take place if you have vigorous upright growth that is prohibiting the lower portion of the tree from being strong. This is just the tip of the iceberg when it comes to tree pruning. There’s a lot to learn, which is why it’s always a good idea to contact the professionals. 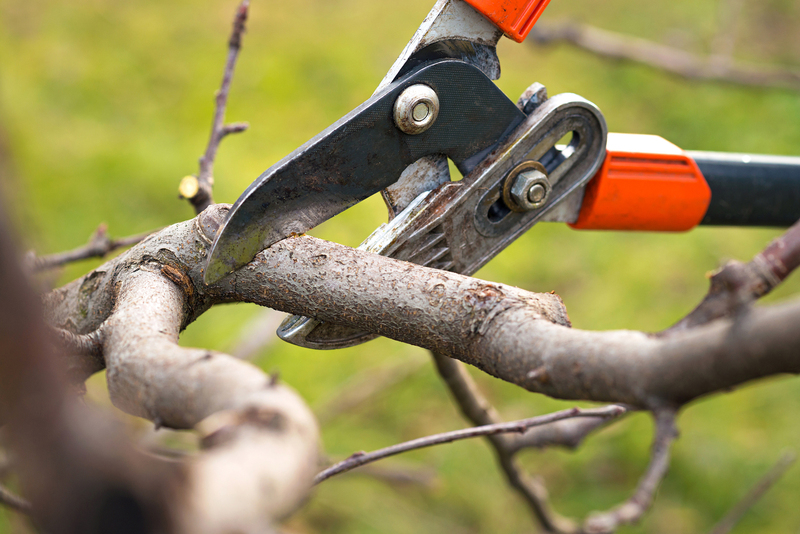 For more information about pruning, or to have your trees pruned this season, contact your local landscaper.